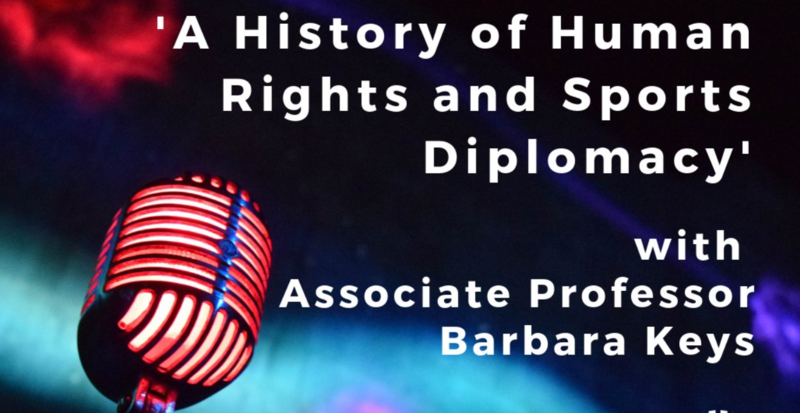 In this episode of AIIA VIC’s Dyason House Podcast, Associate Professor Barbara Keys discusses the relationship between human rights and sports diplomacy. The promotion of human rights in mainstream foreign policy discourse led to tension with conventional conceptualisations of sovereignty. The perception of international sporting competition as an idealised realm led to success in sport to become a source of national pride. 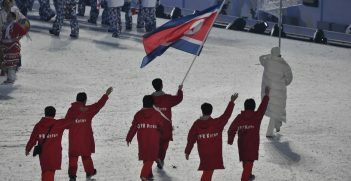 The use of sports diplomacy as a tool for rapprochement was evident in the Pyeongchang Winter Olympics in 2018. However, international sporting competitions have also resulted in detrimental outcomes for human rights, with their high costs, forced evictions in the host nation and their potential to enhance the public image of a dictatorship. Associate Professor Barbara Keys is an historian of international affairs, and the author of two books – Reclaiming American Virtue and Globalizing Sport. In 2019, she will serve as the president of the Society of Historians of American Foreign Relations. The decision that North Korea will send 22 athletes to compete at the Winter Olympics hints at a more positive 2018 after 12 months of threats, weapon testing and hostile tweeting. Could sport prevent nuclear war? 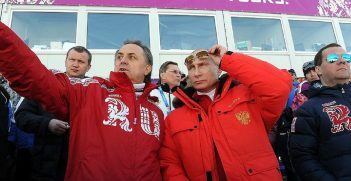 Next year's Winter Olympics will include athletes from all over the world but not, it would seem, a team from the previous event's hosts. What are the implications of the Russian ban? 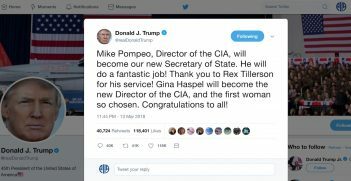 If Washington insiders are to be trusted, since at least mid-2017 it has been a question of when, not if, US Secretary of State Rex Tillerson would be replaced. What stunned many this week was the manner of execution.